As much as I love the bright coloured, showoff bath products that lush produce. The ones that I end up liking the best are the plain and simple looking ones, that you tend not to notice when you first look around the store. 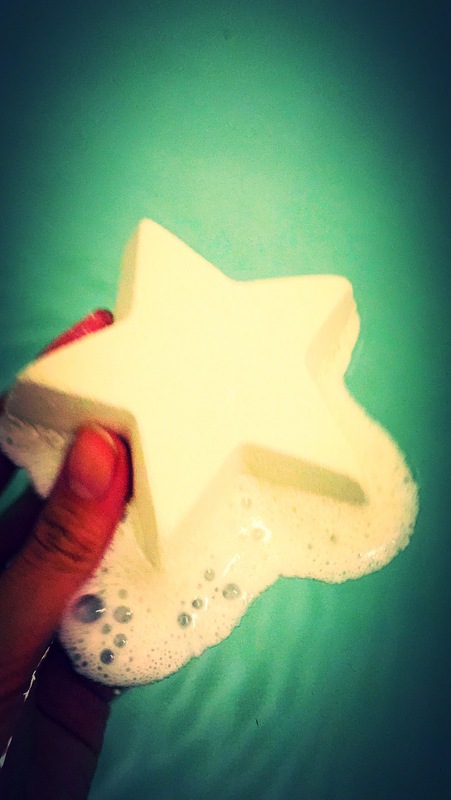 One of this years most beautiful products is the stardust bath bomb. Although you may not notice it straight away on the shelf. As compared to some of the other Christmas products it doesn’t really look anything special or stand out. 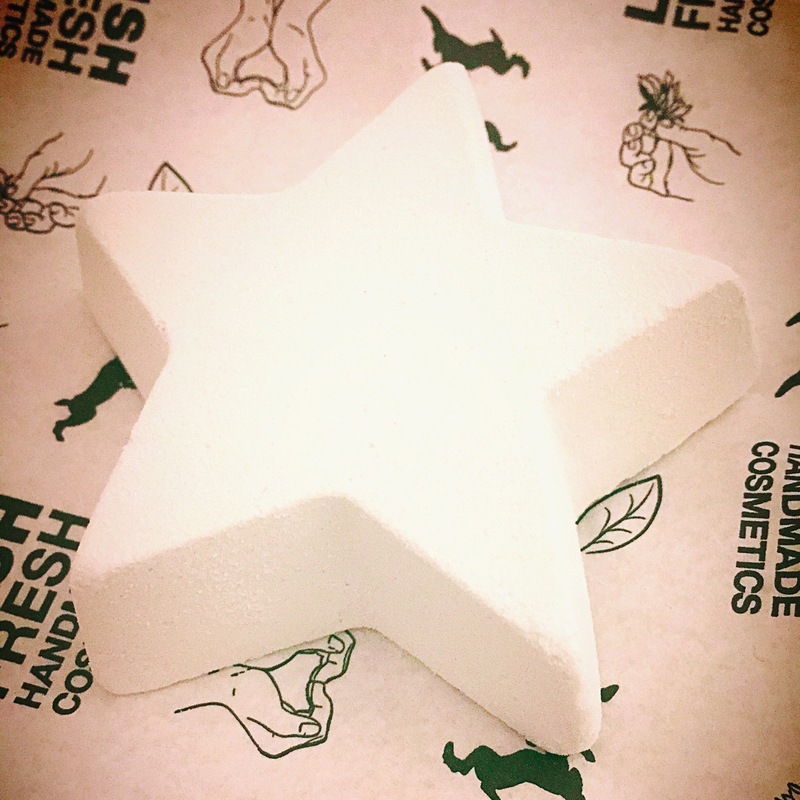 The Stardust bath bomb is a beautiful pure white star shaped bath bomb and if you look carefully it is covered in lovely little flecks of iridescent glitter. This beautiful crisp looking product is just stunning to look at and at £2.95 is worth it’s weight in gold. Follow yonder star all the way to the bathroom, it will bear exotic gifts of fair trade ugandan vanilla from the mountains of the moon and precious rosewood from the depths of the Peruvian rain forest. A twinkly dip in its starlit waters gives a bergamot powered boost to the mind and body – ideal for a little post party recovery. Not only is the stardust bath bomb exstremly cute and pretty it also smells incredible. It has a very lovely sweet vanillia smell, like vanillia ice cream. The scent it very subtle thought which makes it even more beautiful. Once poped in the bath it filled the room with it sweet delicious scent and I could also smell a slight marshmallow element. It just smells so so yummy. From past exsperience I have learnt that you should never judge a book by its cover when it come to lush products. As it is offeren the most simple products that turn out to be the most stunning in the water. 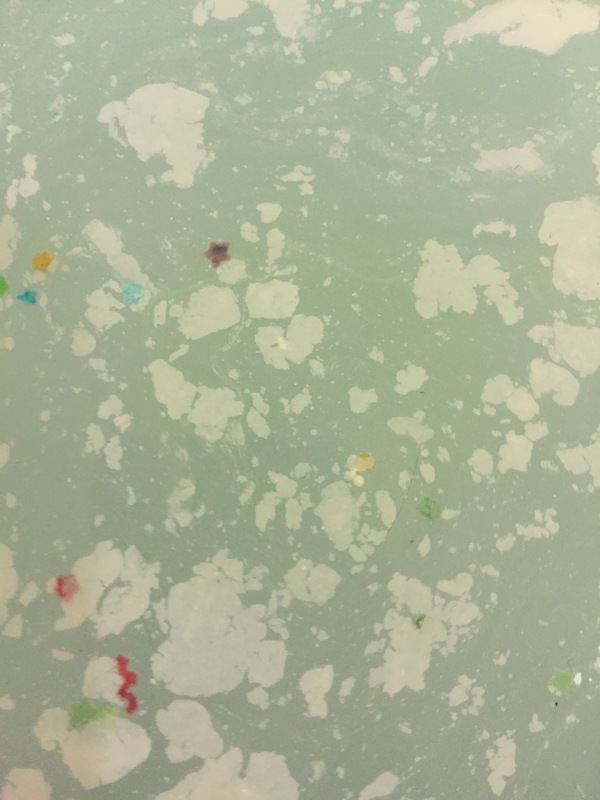 The magic really starts when this bath bomb is in the water. It is a real quick fizzer and dissolves fairly quickly. But in that time it puts on the most wonderful show. 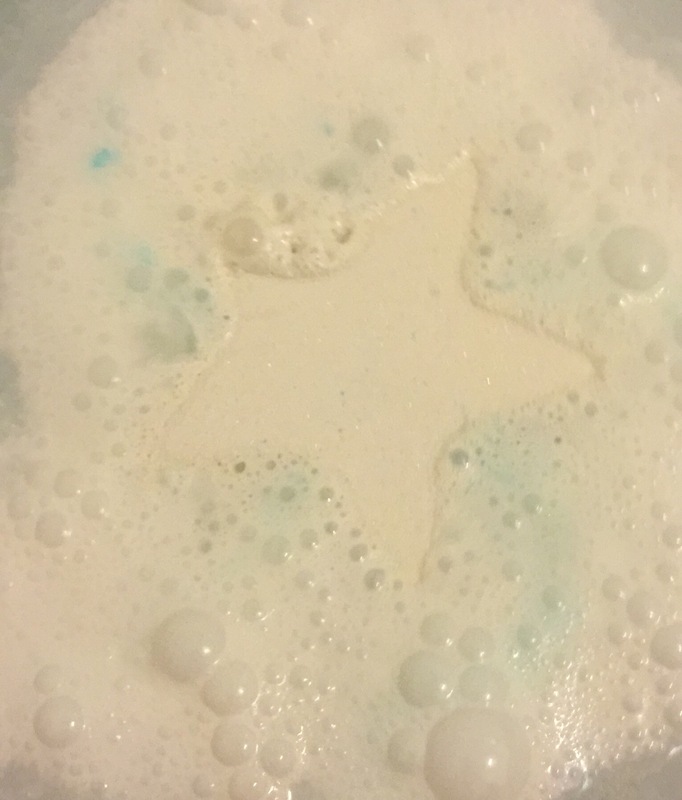 It starts by producing loads of white fluffy foam across the surface of the bath and then the star starts to spin round and round as it oozes lovely blue colour wich creates the most beautiful pattern on the surface of the water. I love how it always keeps a star shape as it spins across the top of the bath and then it reaches it prestige and loads of multi coloured little stars come spilling out and across the bath water. Such an amazing little product. It leave the water a lovely milky blue and the scent lingers for ages. It does create a slight film across the top of the water though, similar to when you let a milky cup of tea go cold and it creates a layer on the surface of the cup. it has a slight oily texture but once rubbed into the skin it vanishes and After a while it dissolved into the water but it seemed to be exstremly moisturising without being to oily. It does create a slight film across the top of the water though, similar to when you let a milky cup of tea go cold and it creates a layer on the surface of the cup. The film has a slight oily texture but once rubbed into the skin it vanishes and After a while it dissolved into the water but it seemed to be exstremly moisturising without being to oily. Overall I know this is going to be one of my favourite products this Christmas. Allthough stardust might be little it is defiantly mighty and won’t disappoint at all. Top tip – although this product could be chopped in half to get the full effect I would use it whole. 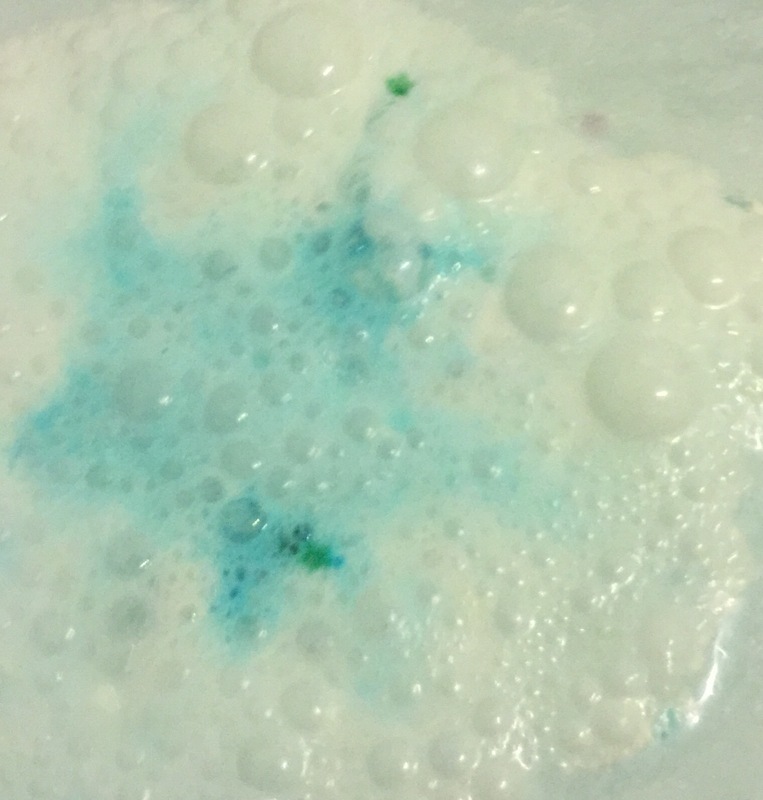 hi i love this bath bomb so much its simple its crips its very milky and vanillalicious haha i would really appreciated if you checked out my video on this bath bomb! i did a cool demo on it https://youtu.be/fVn-K7o8pOI THANKS!